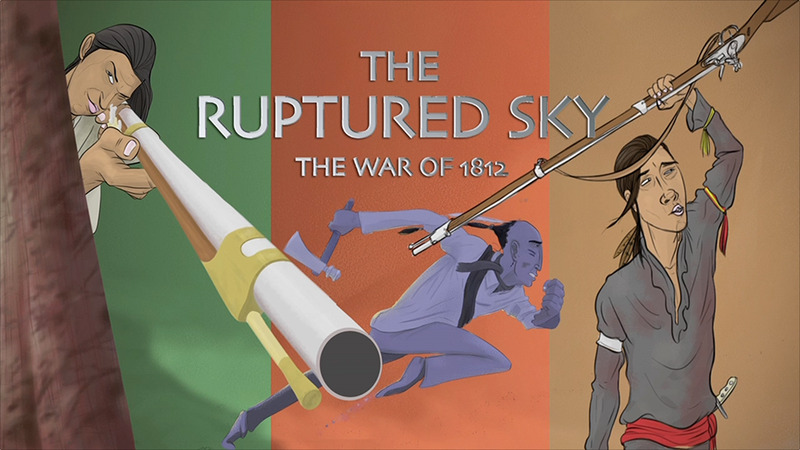 The Ruptured Sky is a dynamic digital literacy resource exploring the War of 1812 from First Nations perspectives. 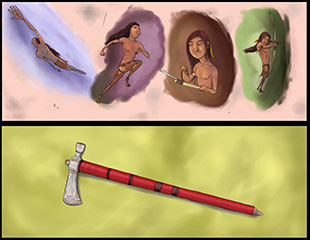 It features an interactive graphic novel, exclusive music and video and a comprehensive suite of pedagogical resources. The Ruptured Sky explores the significant influence of First Nations Peoples on the outcome of the War of 1812. Without their involvement, the borders of Canada and America might have been vastly different. 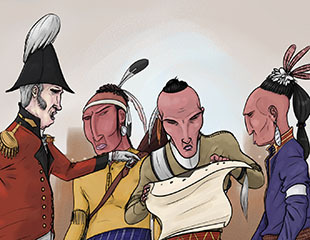 The graphic novel features important personalities like Tecumseh, John Norton, Joseph Brant, and others who played significant roles in the war. The narrative begins in a contemporary setting where Chris and Angie are working on a school project about the War of 1812, but they are finding it tedious, until Chris’ grandfather, John Montour drops by. He suggests that Chris and Angie come for a drive with him. Along the way, he tells them stories about the War and those events begin to come to life. 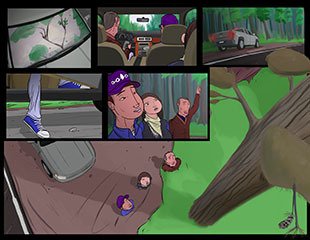 The Interactive is composed of a compelling interactive graphic novel that incorporates exclusive video, original score, informative interviews with First Nations members, and a digital treasure hunt. Other aspects include a digital timeline of key events, archival images, authentic First Native Canadian poetry.